When purchasing decisions fail to consider these criteria and end up buying the cheapest device, the results don’t always meet initial expectations. By planning well and procuring the right tools for the job, your IT techs will thank you and deliver the efficiency and safe operations everyone is aiming for. 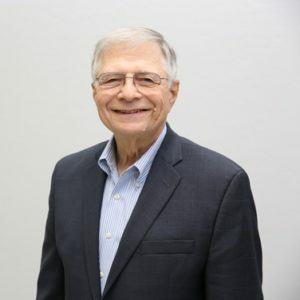 Conversely, settling for the least expensive or insufficiently spec’d lift can result in reduced efficiency, downtime, a data center accident, or even a lawsuit. 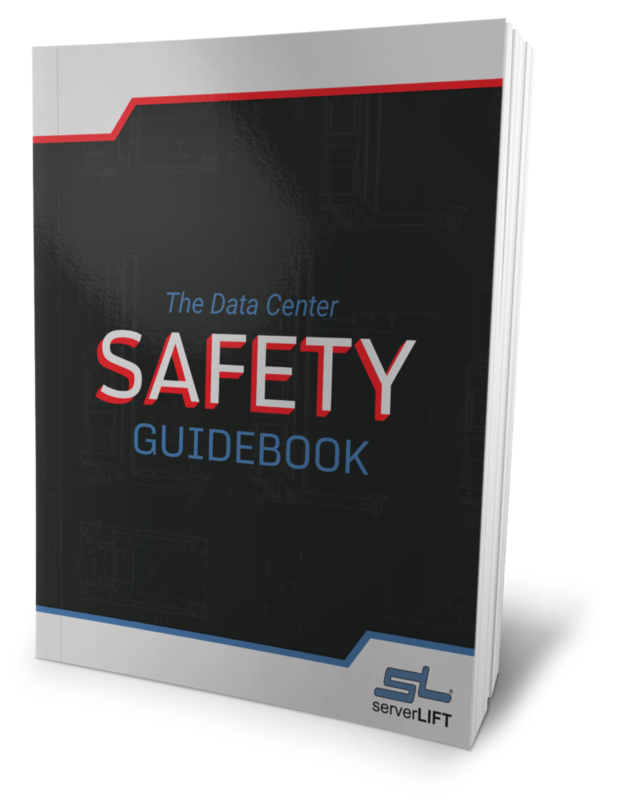 Your lift protects your equipment and employees from the highest-risk activities in the data center: installation, transportation, and positioning of servers, batteries, and other heavy IT equipment. In addition, it allows them to perform these functions in the most productive way possible. 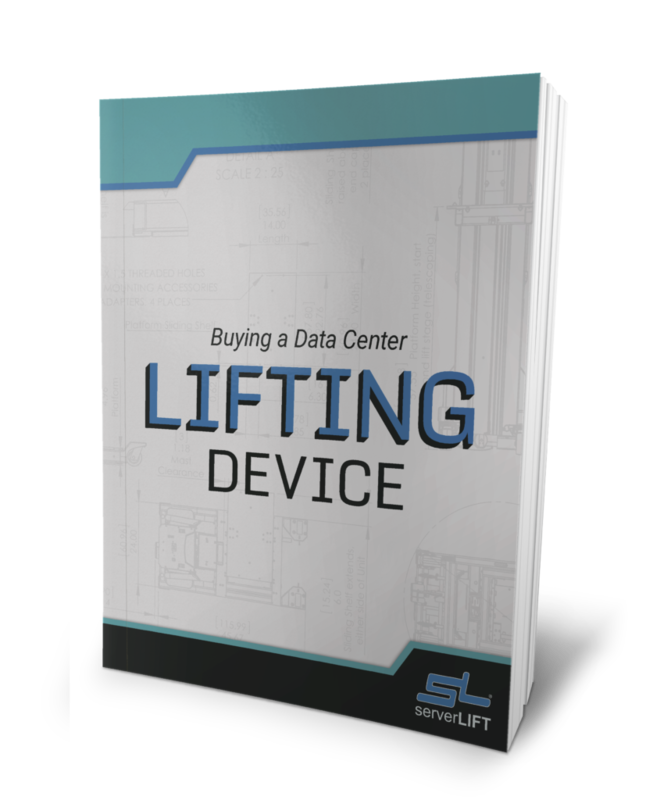 Consider the following three questions when comparing a hand-cranked vs. motorized data center lifts. Frequency of Component Moves: How Often Do You Move Servers? A hand-cranked lift improves data center safety and reduces effort, compared to attempting to move servers without a lift. However, motorized lifts also reduce IT staff fatigue and potential work-induced musculoskeletal disorders (MSDs) with push-button ease. The motor does the repetitive muscle work. A data center with frequent server deployment requires a motorized data center lift to avoid fatiguing hard-working techs. A motorized lift may well compensate for the additional investment, if it prevents a single injury or accident. Quantity of Servers: How Many Servers Will Be Deployed or Serviced? 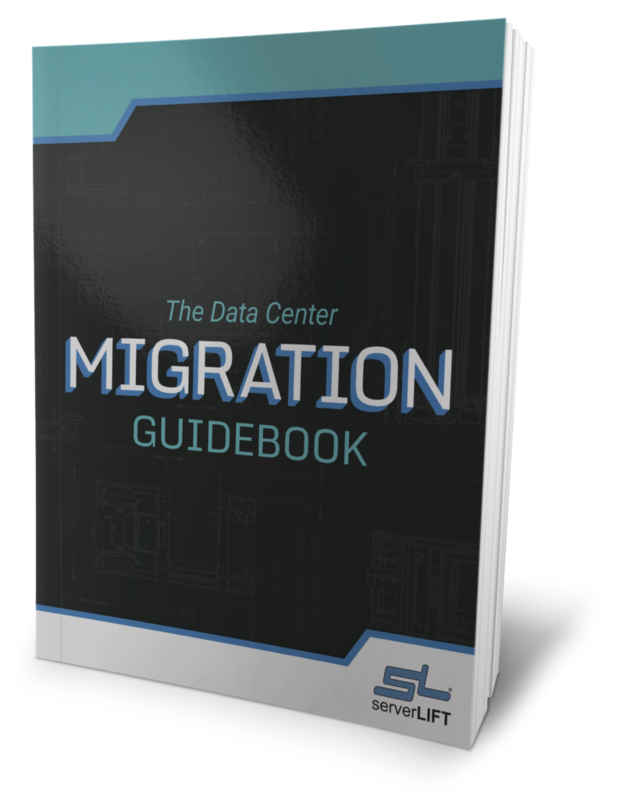 To execute a large data-center deployment, IT techs depopulate and populate many server cabinets during the work week, and some data centers may schedule four or five migration events during the deployment period. With a properly rated lift, your techs may transport several servers at a time, requiring elevating and lowering the lift repeatedly for a single migration or refresh. 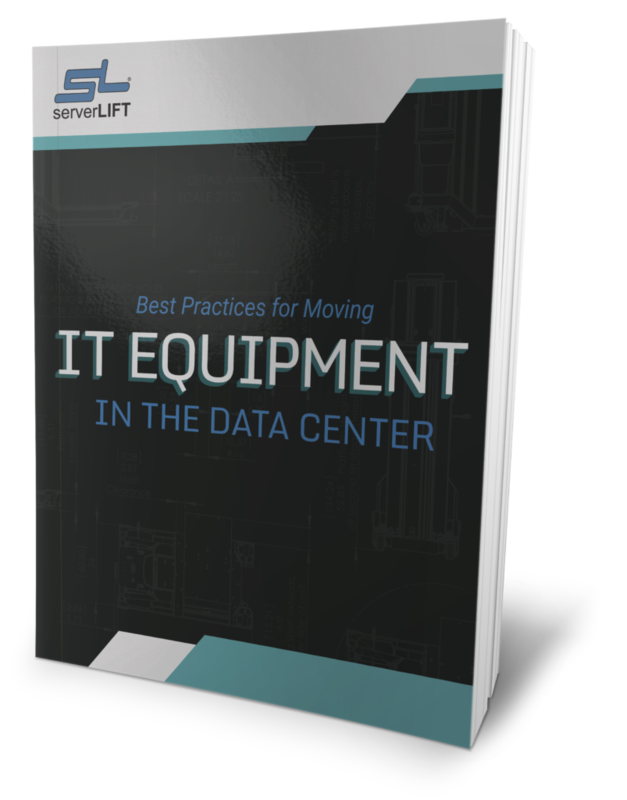 Data centers with many cabinets full of servers, switches, and other heavy IT equipment will require a motorized lift for heavy deployment needs. Even routine maintenance, in large data centers, calls for a motorized lift because it reduces the time and effort needed to pull servers and reinstall them. If you’re moving many servers or cabinets, a powered server lift can reduce installation or migration time, respectively, by 50%. Heaviest IT Equipment: How Much Does Your Heaviest Server Weigh? The size of your heaviest piece of IT equipment can make the hand-cranked vs. motorized lift purchase decision for you. In our experience, if you have any item weighing more than 300 pounds (136 kg) we recommend a motorized lift, especially for frequently moved equipment. Although a hand-cranked lift may have a rating well above 300 pounds, our customers tell us, and our research has shown, that the physical effort required to raise a heavier server or battery with any regularity puts a great deal of strain on your shoulder muscles and back. You should buy a lift with a weight capacity greater than your heaviest device, whether it be a server or a battery. If your IT techs use a manual hand-cranked lift for anything over 300 pounds, they’re risking an injury or at the very least an unwanted daily arm workout. Data Center Budget: Does a Cheap Lift Really Cost Less? A hand-cranked lift, by nature, costs less because it doesn’t have a motor, battery, or charger, like a motorized lift. As a result, purchasing departments may choose a manual hand-cranked lift in order to save a little bit of money. Savvy data center managers know that minor budget savings should never dictate the selection of essential work tools. Instead, they will always choose their device by considering move frequency, their heaviest single device, and the weight of multiple devices in a single load. This approach also results in greater productivity and safety, both of which easily make up for the slight additional cost of a motorized lift. 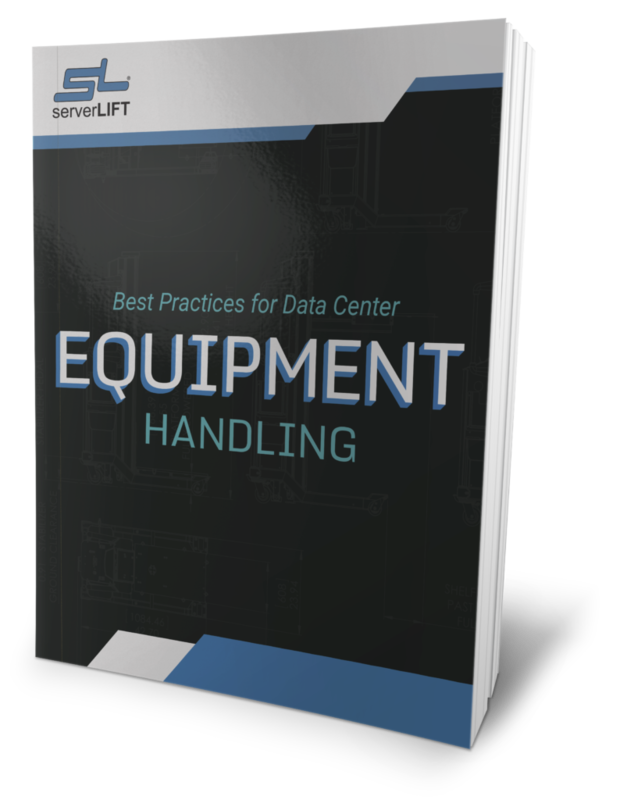 If your budget cannot really take efficiency or optimum safety into consideration, a hand-cranked lift certainly beats not having a data center lifting tool at all. Prevention, though, will probably tax your budget much less than IT staff fatigue or work-induced injuries.